STVV continued on the same path. In the 2002-2003 season, the Canaries finished in fourth place! And ... STVV tapped Germinal Beerschot from the Belgian cup in the semi-finals. At Stayen the Canaries won it with 1-0. At the Kiel held the Truiense defense stand (0-0). A gigantic party erupted. Haspengouw colored yellow and blue in the following weeks. 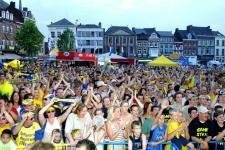 STVV attracted more than 22,000 supporters to the King Baudouin stadium. 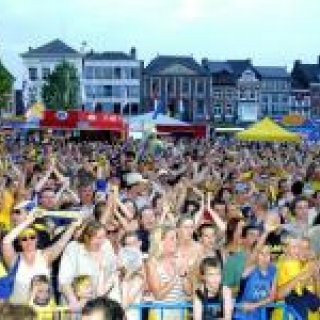 Just like in 1971, STVV lost the final. La Louvière grabbed the coveted cup and was allowed to enter Europe. Another great event: Danny Boffin reached the podium for the Golden Shoe 2002 election. Speedy finished in third place after Timmy Simons and Wesley Sonck.